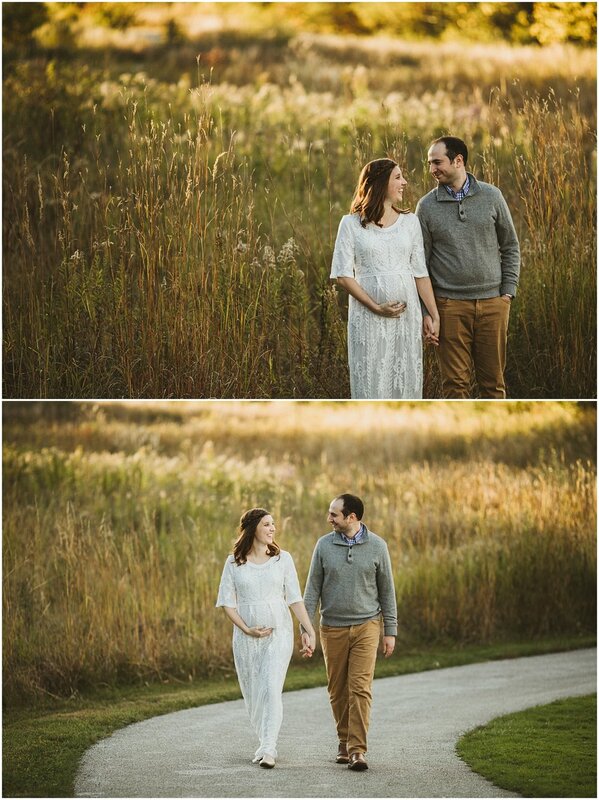 Maternity sessions are one of may favorites. 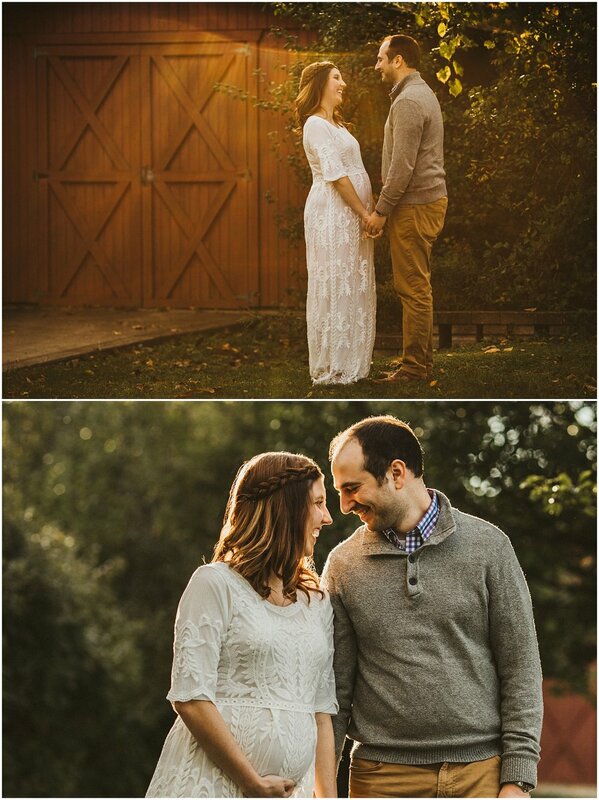 This one took place in a beautiful Beachwood, OH park setting. I remember being so giddy with excitement when I started this session! 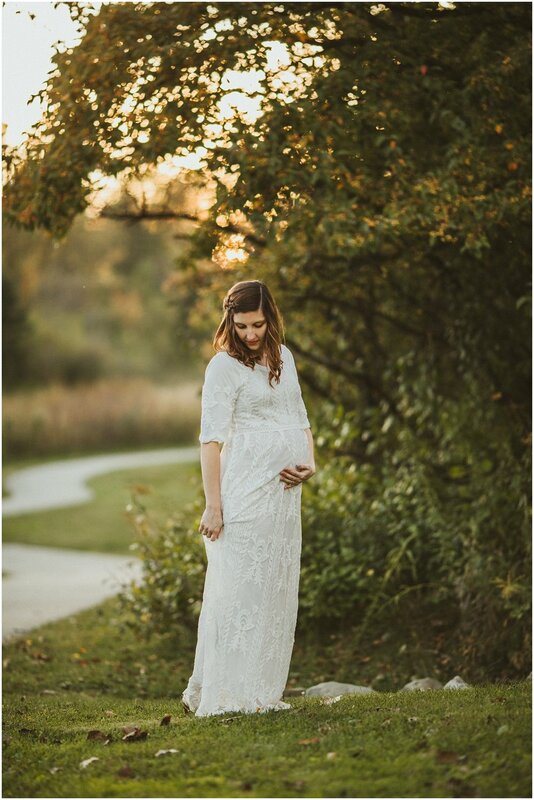 Mommy to be looked so gorgeous in her off white dress with lace detail from Wren and Ivory . 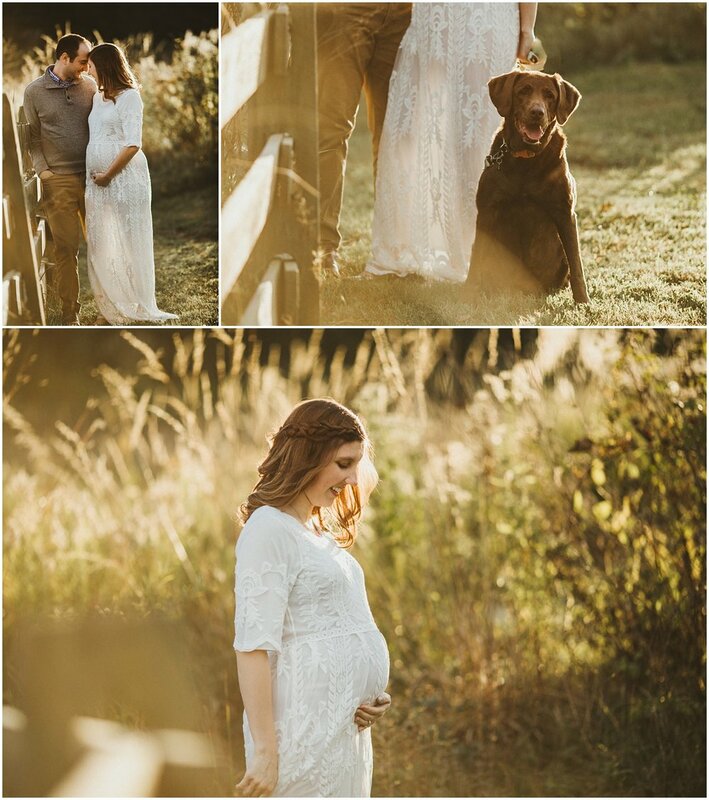 I just knew these images would be amazing since the sun was setting in the most perfect way giving us a dream golden hour session!! 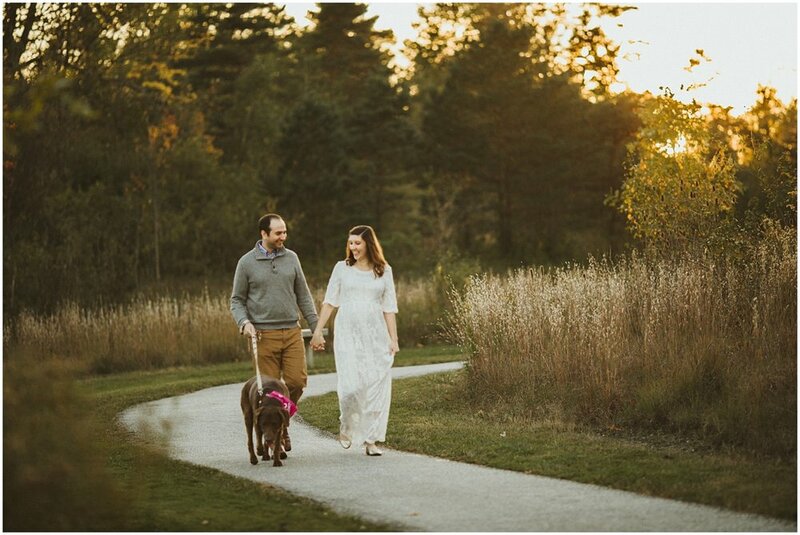 The couple also brought big sister along (doggy) for the shoot! I love when my clients bring their pets since they are also part of the family. They did ask a friend to help out with keeping the dog safe while not being photographed which was a great idea because they were able to focus on each other! 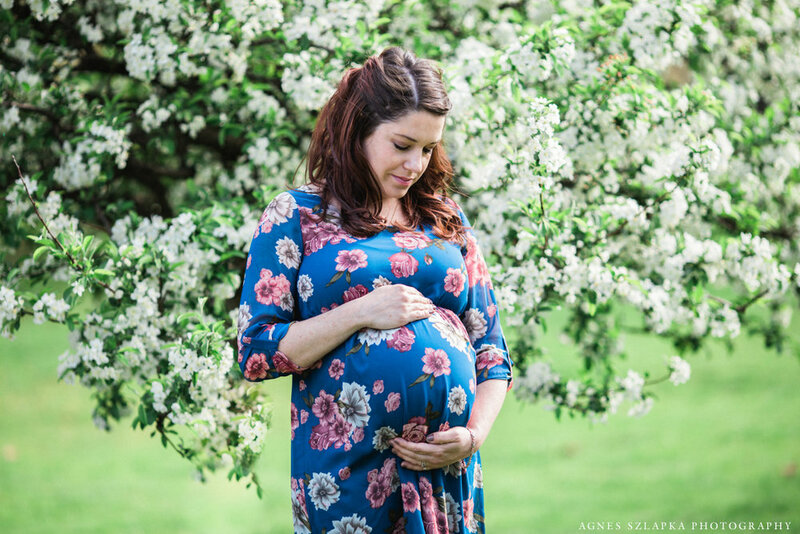 Pregnancy is not amazing for everyone but when it is and even if it’s not, I encourage you to capture these days in a memorable way. Make yourself feel special all day, let your husband or partner pamper you, take some pictures together and end the day with delicious dinner! You’ll remember how special this day was! :) And I promise, I will photograph you in a beautiful way! 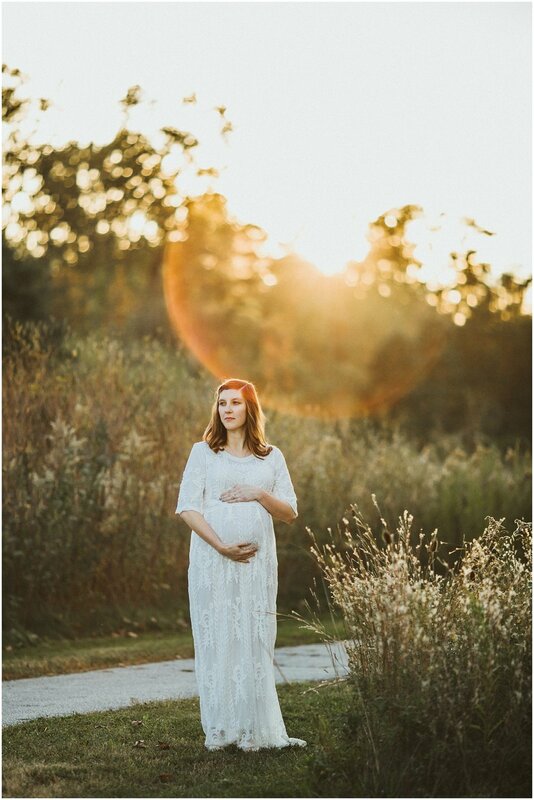 Thank you for choosing me as you maternity photographer! It’s always an honor and I am so grateful. 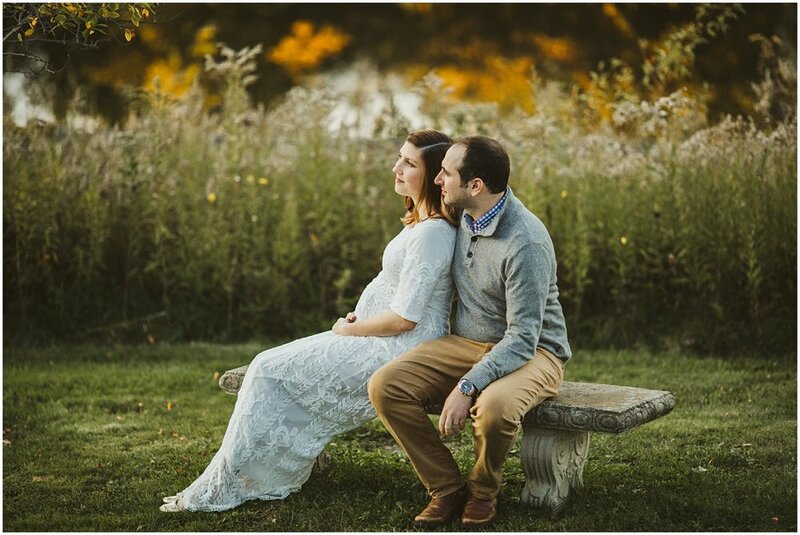 Agnes Szlapka Photography is based in Cleveland Heights, Ohio. 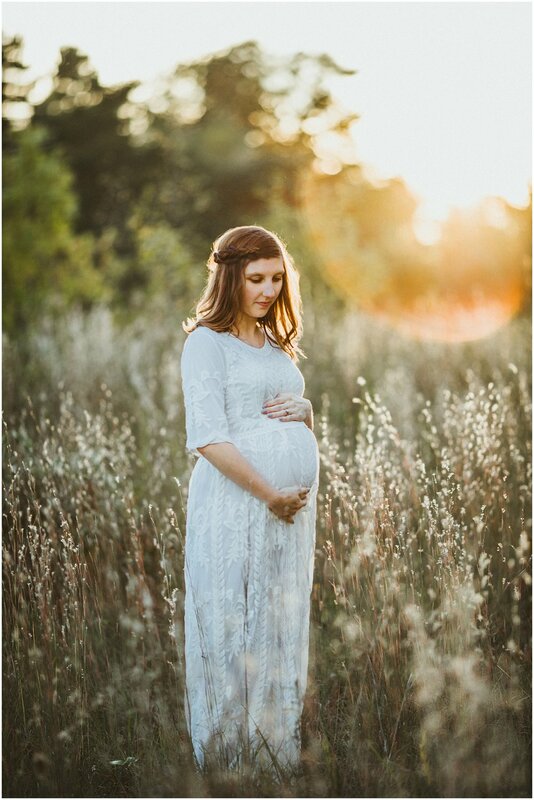 Agnes Szlapka is a Fresh 48, lifestyle newborn, family and maternity photographer capturing artistic and timeless photographs. 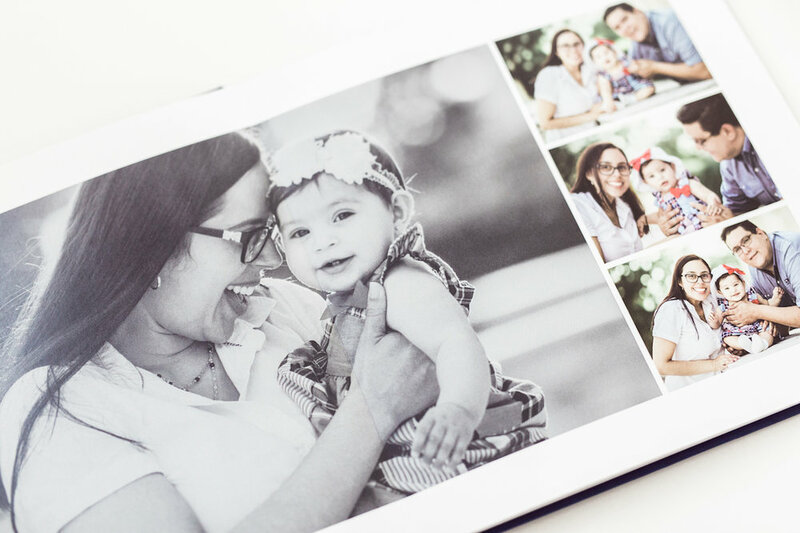 Another beautiful photo album I recently made for this lovely family! 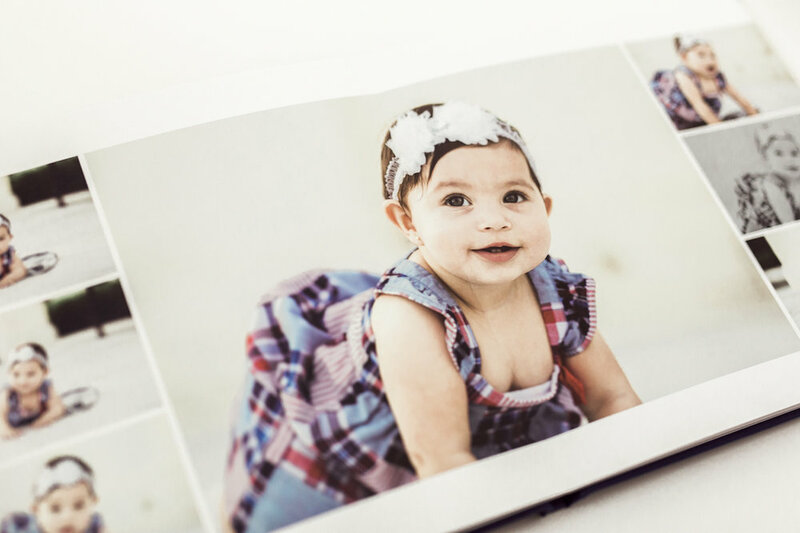 Lately I've been thinking and mostly worrying that my clients are not printing their images enough. I'm sure many of you print a few to place in frames and display them throughout your house, but not most of them. 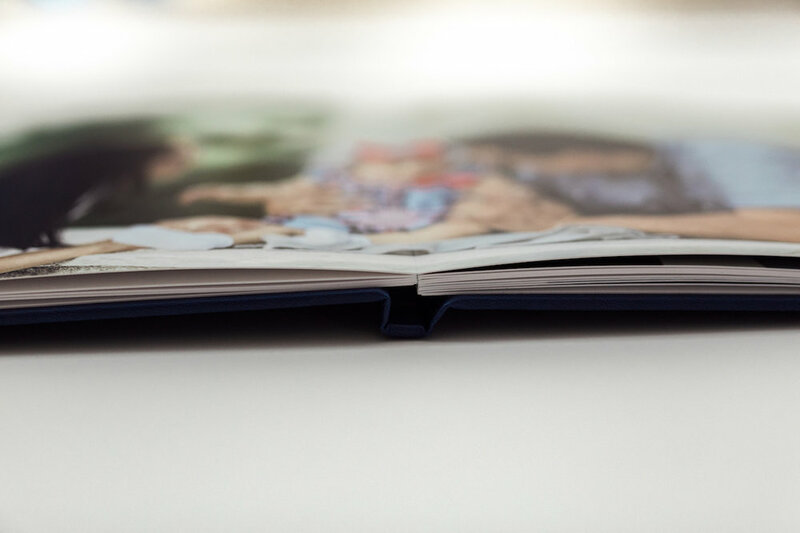 I really think they should be printed in beautiful, high quality albums because they all have a story. Your story. So I hope many of you will make this additional investment and allow me the pleasure of designing these for you! These Millers Books are more budget friendly as compared to the Millers Albums. They are still gorgeous lay-flat pages with incredible color contrast. 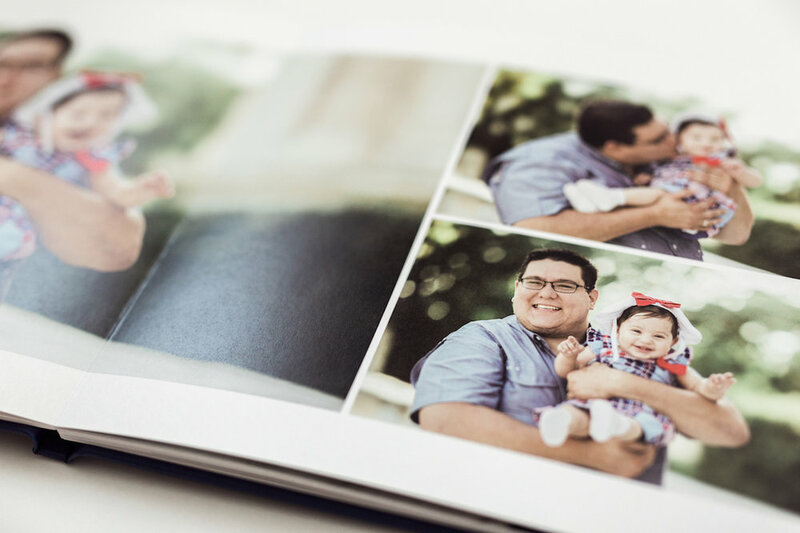 Printed on matte or pearl press paper with a hefty weight. 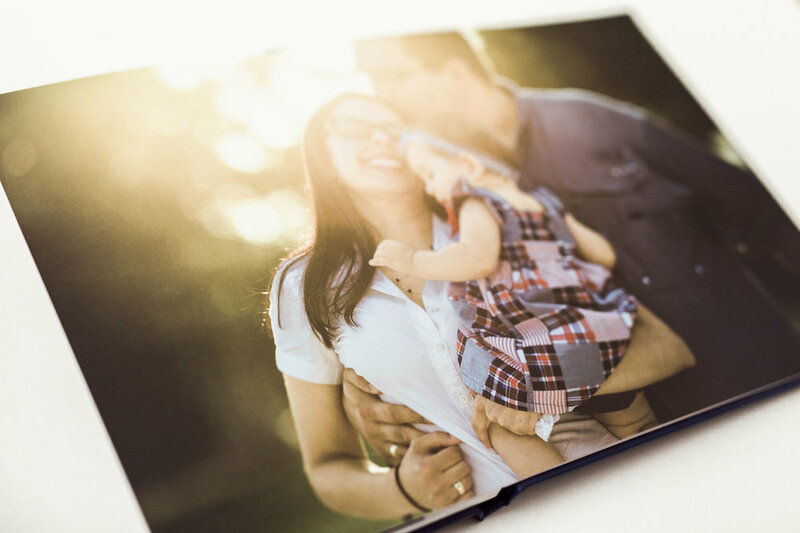 Book covers come in a variety of color options in leather, linen or custom. They are beautiful! 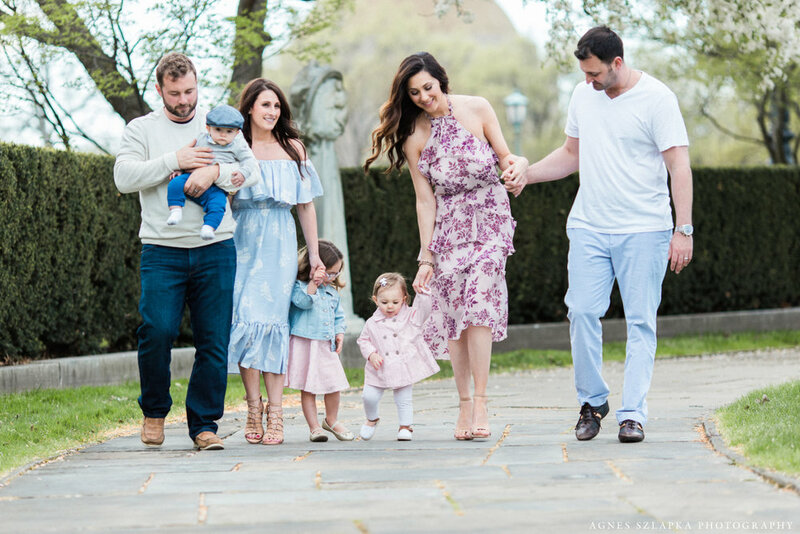 More family photography from my spring mini sessions almost a month ago at Wade Lagoon in the Cleveland Museum of Art with this wonderful happy family of four! 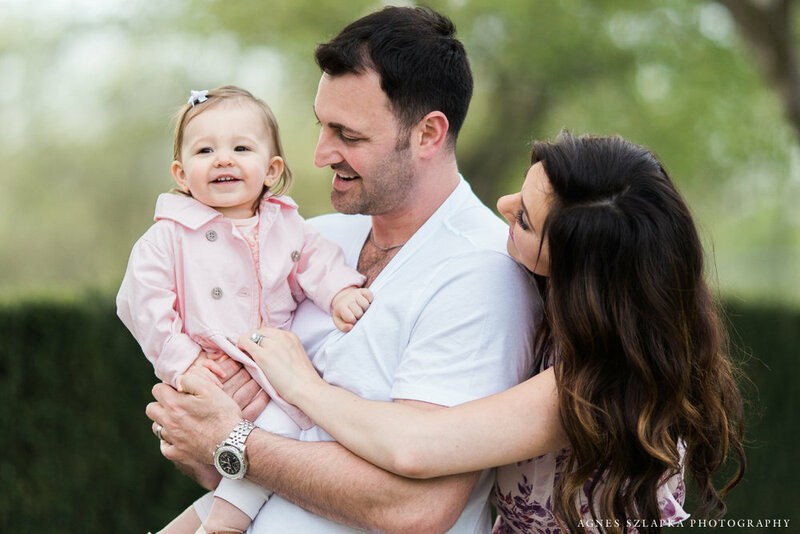 There was nothing but smiles (well maybe a little tiny bit of tears) but seriously, it was a fun family session! 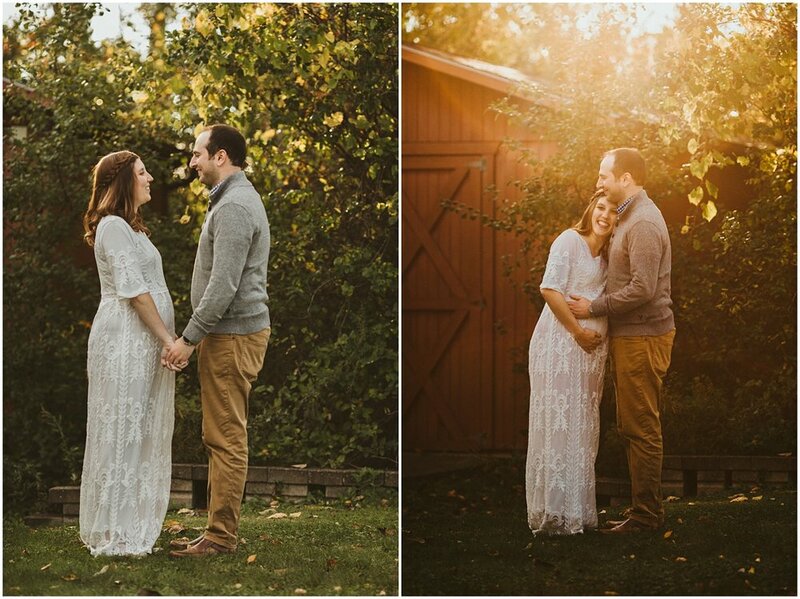 These two kiddos were too cute and their parents completely adore them and each other. 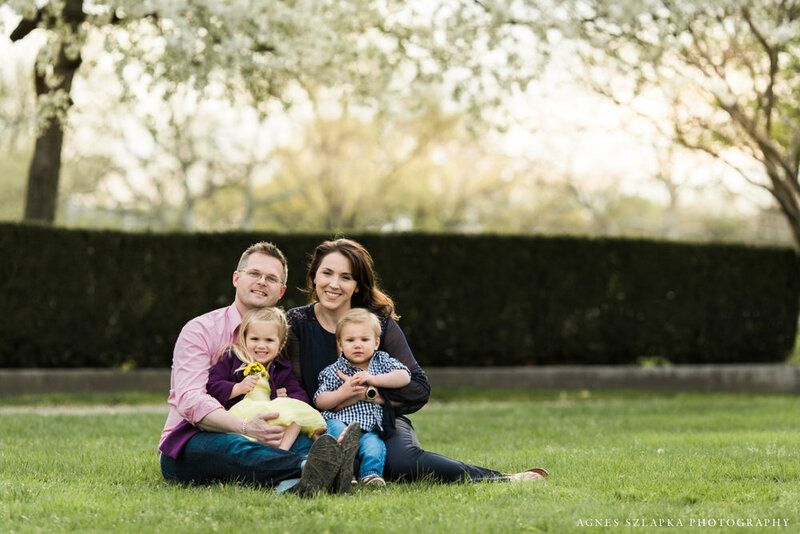 We had a beautiful cherry blossom filled backdrop and this gorgeous family giving us amazing photos! 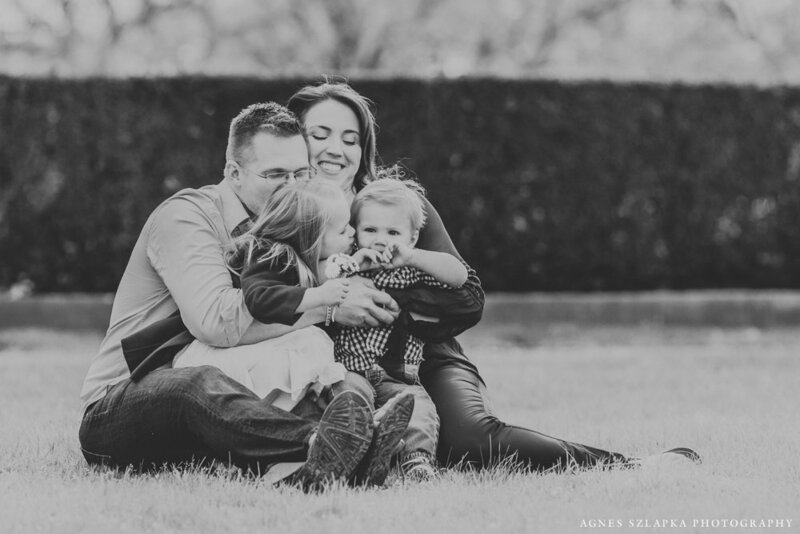 Guys, sometimes I admit I get a little jealous of your family photos because I'd love to have some like this with my little kiddos and that's how I know a session was a success! It was a pleasure taking these for you and I hope to see you next year! Thank you again! 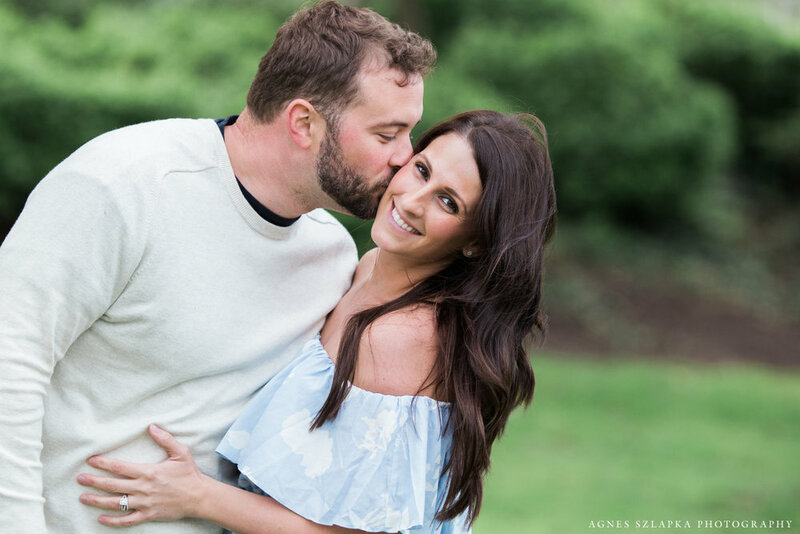 Agnes Szlapka Studios is based in Cleveland Heights, Ohio. Agnes Szlapka is a portrait and lifestyle photographer capturing artistic and emotionally moving photographs. Specializing in family photography, maternity photography, kids photography and lifestyle newborn photography. 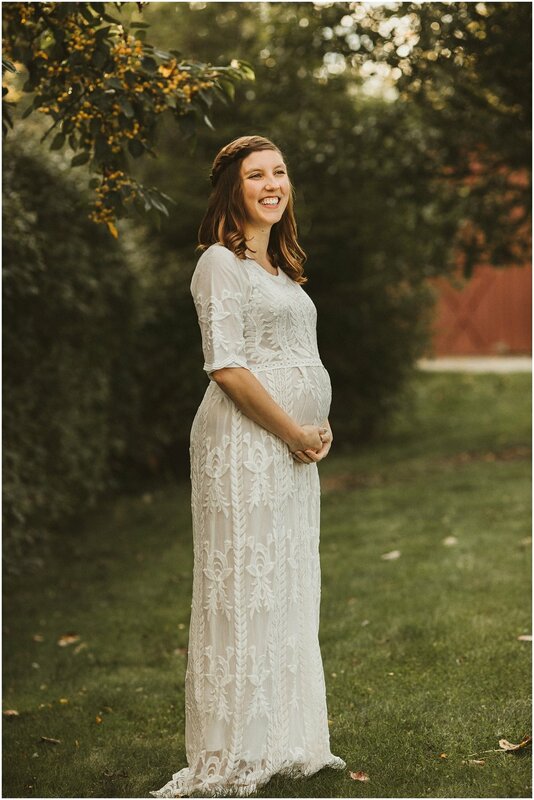 Not everyone wants maternity pictures since not everyone feels their best, but I say go for it anyways because this is such a beautiful, precious and amazing time. 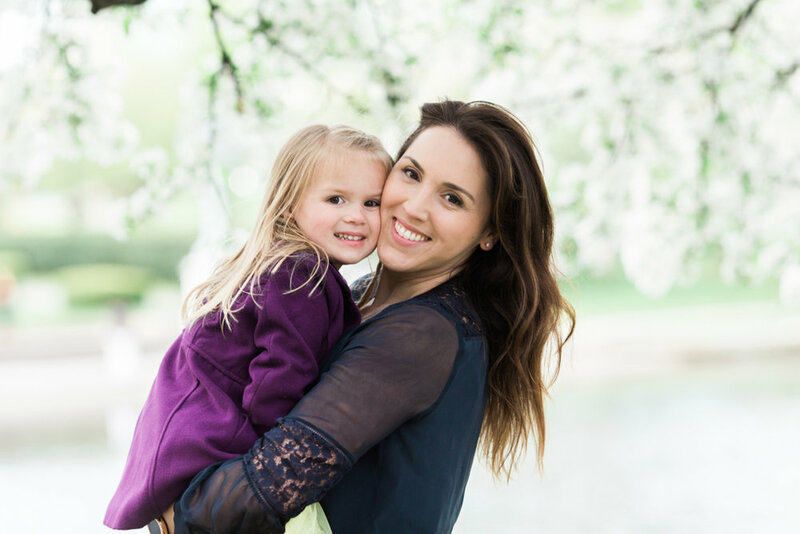 These were taken at Wade Lagoon in the Cleveland Museum of Art, part of my spring mini sessions. 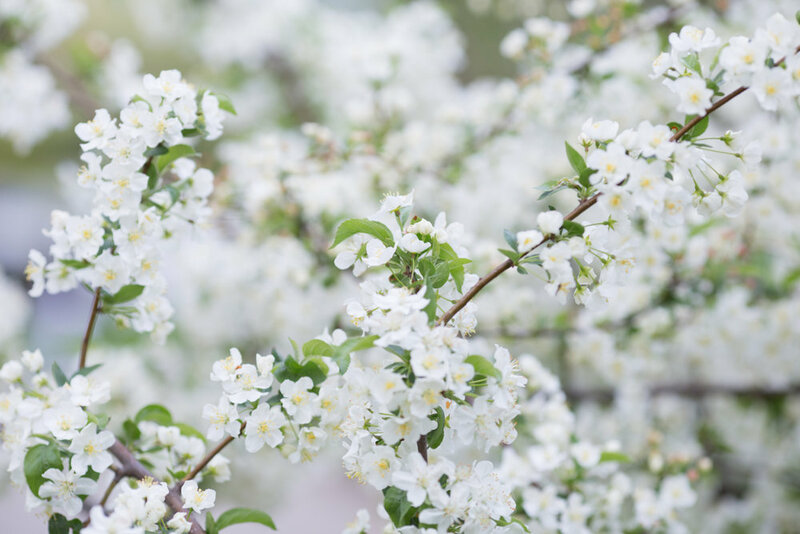 Yes, spring is here and new life is all around us from blossoming trees to expecting baby mamas! I personally loved being pregnant. 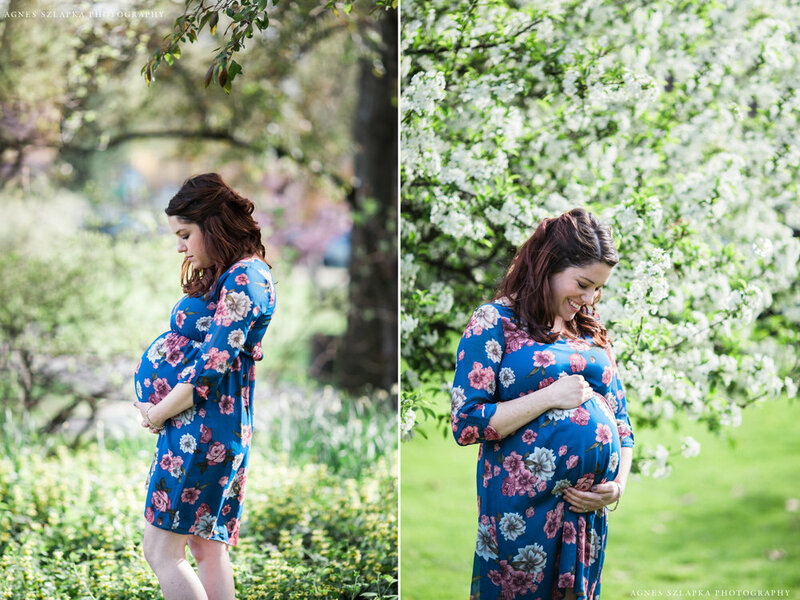 I felt great, hardly had any discomfort associated with pregnancy and really cherished this time. For goodness sake, a human was growing inside of me! 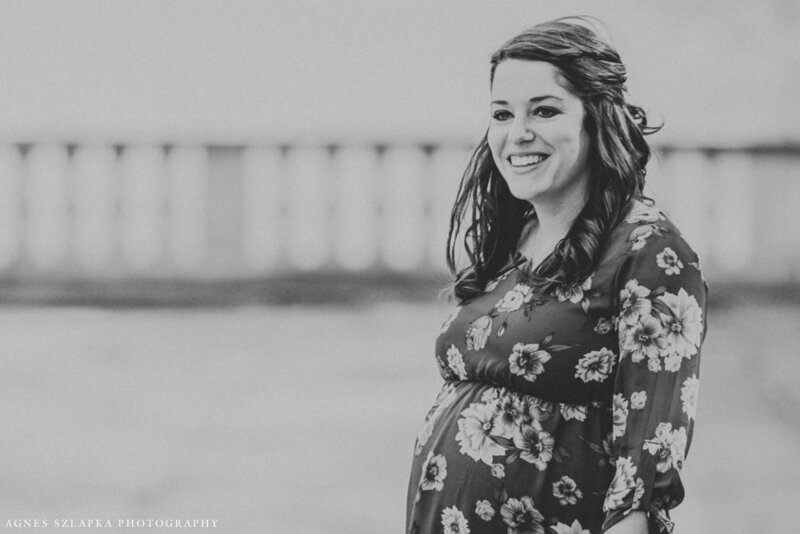 When I met this expecting mommy she had a smile on her face and was ready to get the shoot started. Sometimes I feel like I still work at University Hospitals because I photograph so many people that happen to work there. Word travels quickly and it's a good thing! The beautiful mommy is a ICU nurse. She is very excited about having a little baby boy soon! I thought she looked absolutely stunning and had that gorgeous pregnancy glow. My favorite image from below is one where she is facing the water and blends in perfectly with the blues in her dress. It looks so peaceful and authentically real. 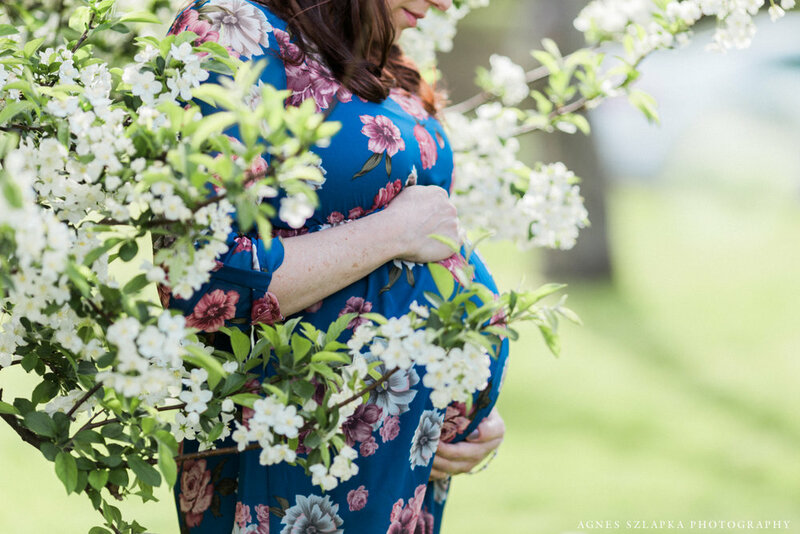 Thank you for choosing me as your maternity photographer. It's a true honor. Agnes Szlapka Studios is based in Cleveland Height, Ohio. Agnes Szlapka is a portrait and lifestyle photographer capturing artistic and emotionally moving photographs. 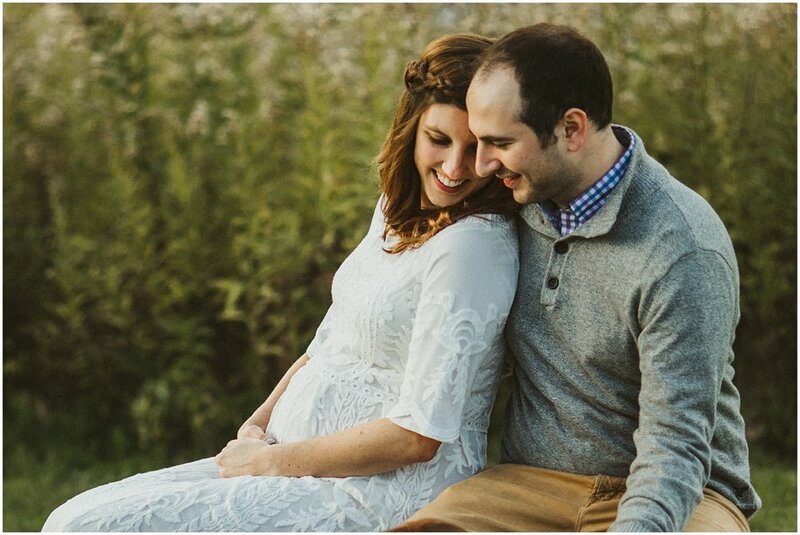 Specializing in family photography, maternity photography, kids photography and lifestyle newborn photography. 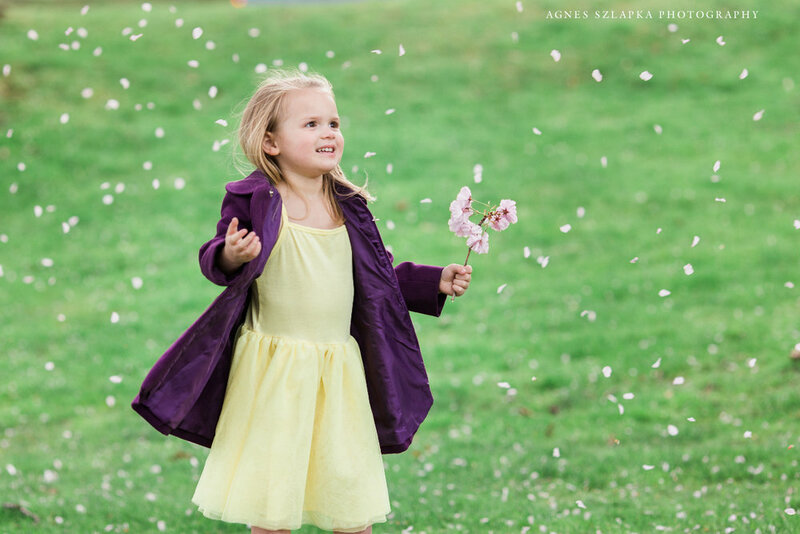 This spring's mini photo sessions at The Cleveland Museum of Art were a complete success! 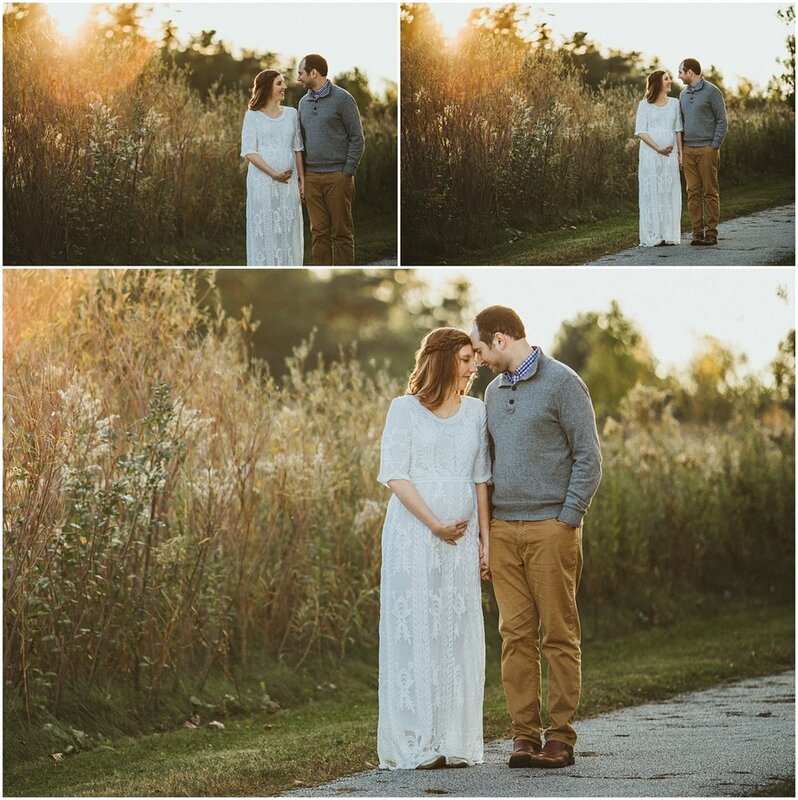 I photographed three families and one mommy-to-be. I will be sharing it all in the next few posts. The cherry blossoms did not disappoint! They added such a lovely and soft touch to all the photos. Timing was so crucial because a week after they looked completely different! I had a great time with the happy family in the images below. Family sessions are sometimes a challenge especially when little kids are involved because you never know what will happen. Anyone that's a parent, knows when a toddler decides something, you bet it's going to go their way or the highway! So, I go with the flow! This is the beauty of family photography. I want to capture the way they are right now and not a posed, unrealistic impression of them. I love when Mommies take time to look extra beautiful. I believe it's so important that a mother does take time to take pictures of herself with her kids and her husband. I know myself, it's so hard to get into pictures but yet I am always there by my kids side. A mother is her child's whole world. This bond, love and connection has to be preserved in beautiful sweet memories. Thank you guys for the honor. It's truly humbling to do this for all of you.